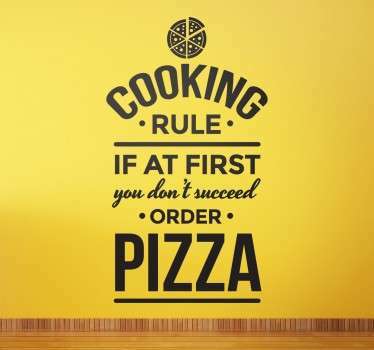 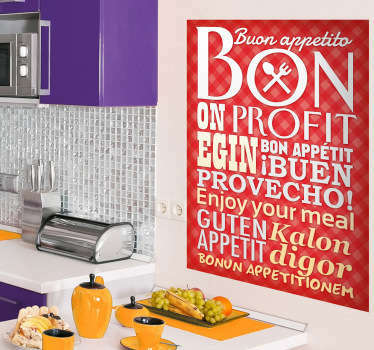 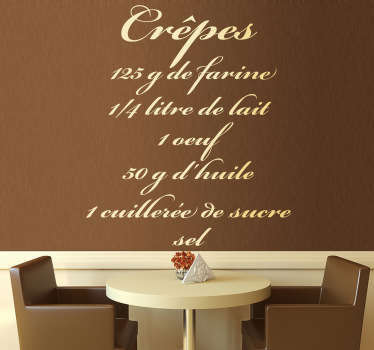 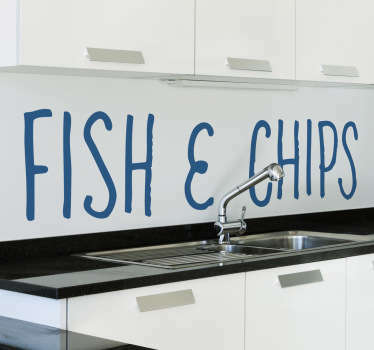 Recipe wall stickers for decorating your kitchen. 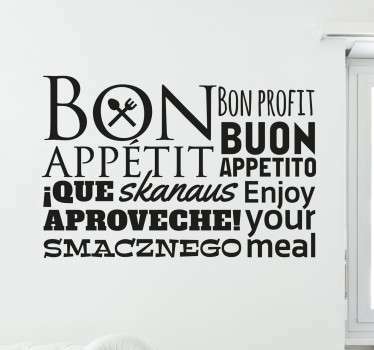 Funny and useful recipe decals showing the ingredients and instructions for cooking your favorite meals. 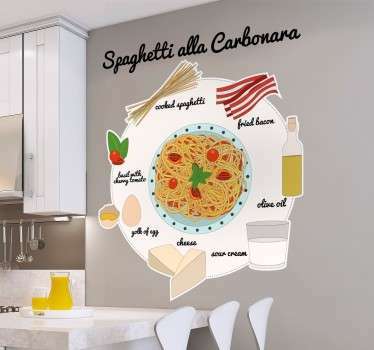 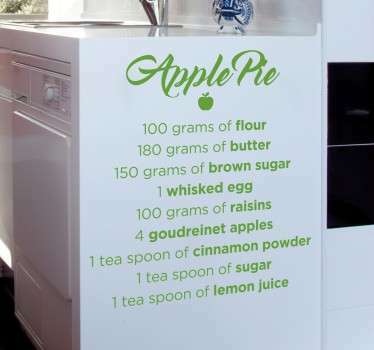 Place these stickers in your home and you will never forget how to cook apple pie, crepes, spaghetti and more again. 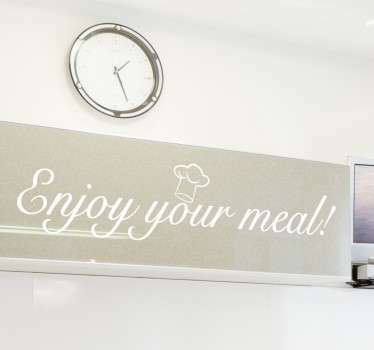 Decals available in many different sizes and over 50 different colors, and if there is a recipe that is missing, simply email us at info@tenstickers.com with your requests and we will create a sticker just for you.